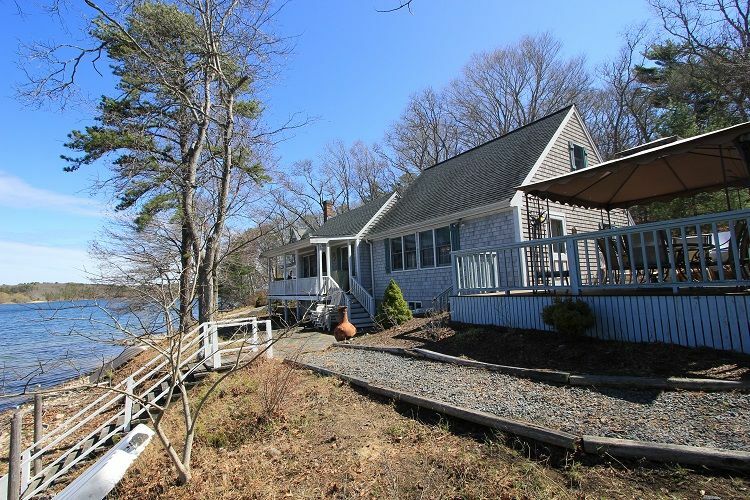 2 bedroom 1 .5 bath home and a 1 bedroom 1 bath cottage right on Peters Pond in Forestdale. Both units come together with the rental. New updated kitchen in the main house alone with a great deck and gas grill. The cottage also has a small deck with nice views of the pond. Small beach in front of the properties. Peters Pond. Motor boats ok, no HP limit. We were sorely disappointed with the condition of the house. We arrived to find that several spider families lived in the basement level room where the three beds were, the outdoor grill had rotted to the point where it's not usable and the whole of the separate cottage smelled of urine, broken outdoor umbrella (and not as advertised in the photos). It was so bad that my cousins stayed for one night instead of the week and left because it was not suitable for their young kids. I will note that I made a complaint to Sand Dollar Realty and Jerry had come in to fix a few things (repaired the grill, had a cleaner come in to clear the spiders) but that did not help with how it has negatively affected our annual family summer vacation.